The North American porcupine is a large rodent that is common across the continent and is best known for its impressive array of quills that are located either over its back and tail, or sometimes lodged in the mouth of our overly enthusiastic canine friends. Some of the most common diseases found in porcupines include mange, verminous encephalitis (caused by the raccoon roundworm Baylisascaris procyonis), and various bacterial infections. 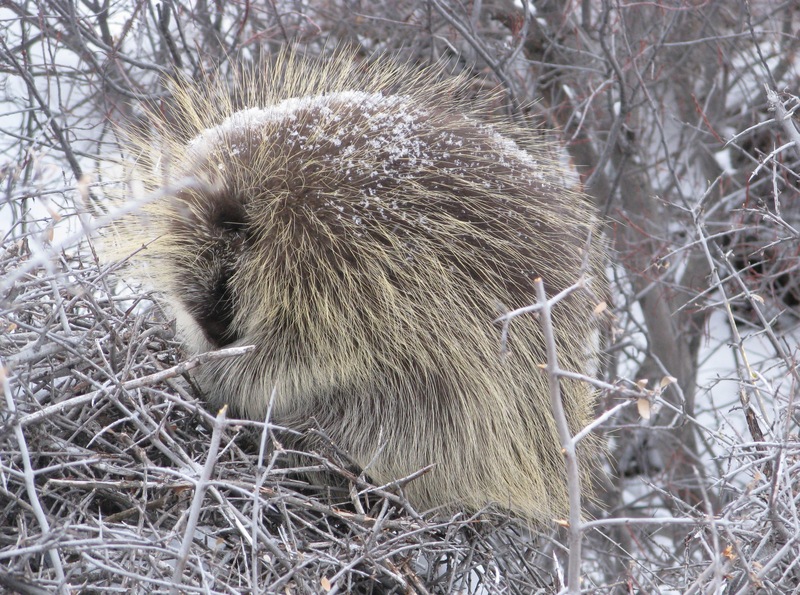 This winter the CWHC observed a new disease entity in a group of porcupines that were being cared for in a Nova Scotia wildlife rehabilitation center. After a varying amount of times in captivity, several of the porcupines developed severe respiratory illness, from which some recovered and others died. Several of the porcupines that died were submitted to the CWHC for post mortem analysis to determine a cause of death. Almost all porcupines had severe broncho-interstitial pneumonia which in some cases was caused by a primary viral infection that was confirmed to be skunk adenovirus. Other porcupines had severe bacterial pneumonia, which is likely secondary to the primary infection with skunk adenovirus. Skunk adenovirus was first documented in 2015 causing acute hepatitis in a skunk. More recently (2019), it was identified as the agent causing pneumonia in a group of African pygmy hedgehogs. This is the first time skunk adenovirus has been isolated from porcupines and work is ongoing to identify the source significance of the virus in porcupines.